Apparently fast food still isn't fast enough for the residents of Japan. Starting in March, McDonald's will be testing out a new system allowing drivers to order and pay for a happy meal right from their car's navigation unit. 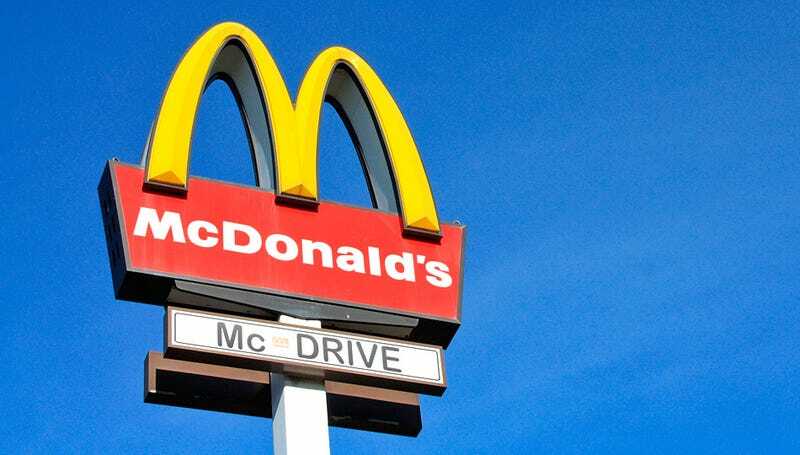 Using the country's wireless traffic news network known as the ITS, vehicles passing near one of McDonald's' restaurants will automatically be provided with a menu that can be navigated via their GPS device's touch screen. They can order and pay for food—hopefully not requiring them to dig out their credit card number while driving—where they'll then be directed to the nearest location to pick up their meal. It all sounds rather efficient and a great way to speed up the drive through window, but how is this any easier than just creating a smartphone app with the same functionality? Custom menus could be updated every day, the driver's location could be easily pinpointed, and paying with your phone in Japan is already commonplace.